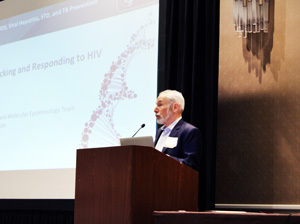 Thank you to all of our many conference attendees who participated in our very successful HIV Innovations In Action conference Friday June 15, 2018 at the Hyatt Regency Hotel in Cambridge. We had a great turnout and want to extend a special thank you to all of our amazing speakers, partners, and attendees who made this day so meaningful by bringing your knowledge, stories, and thoughtful engagement to the event and beyond. We are thrilled to have hosted the announcement by Dawn Fukuda, Director of Office of HIV/AIDS, that the Massachusetts Department of Public Health has received authorization to run a health promotion campaign across the state for gay and bi-men’s health. The campaign coming soon entitled, ‘The Care That Fits You’ will be featured in print and digital formats, and we hope in the future will be advertised on online and mobile dating platforms. This work of Getting To Zero is possible because of the persistent spirit and desire of our community to constantly challenge ourselves and think differently about how we approach the work to ensure we achieve zero HIV stigma, zero AIDS-related deaths, and zero new HIV Infections. Our team is hard at work now sythesizing and analyzing the results of our note taking during our sixteen session workshops throughout the day, and we will share a post-event report soon. If you attended the conference please take a few minutes to fill out our post-conference survey so we can learn from the experience of having hosted this event and collect your input to contribute to our report. Fenway Health’s Kenneth Mayer, MD welcomes the audience and frames the global and national significance of Getting To Zero. 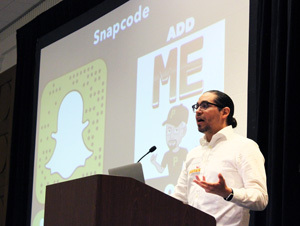 AIDS Action Committee’s Ricardo Holguin, describes his project engaging Latinx youth through his Snapchat Bitmoji avatar Don-P.
An introductory panel set the stage for a comprehensive day with topics of health disparities, innovative technology, and health promotion taking center stage. 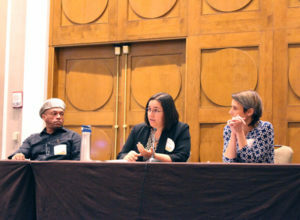 Boston 25 News’ Stephanie Coueignoux attended the HIV Innovations In Action conference to cover the CDC presentation on molecular epidemiology applied to the suspected opioid-related HIV outbreak in the Northeaster Health Service Region of Massachusetts. View and download the full program booklet produced with Amir Now Inc. and featuring the art of Farah Jeune. 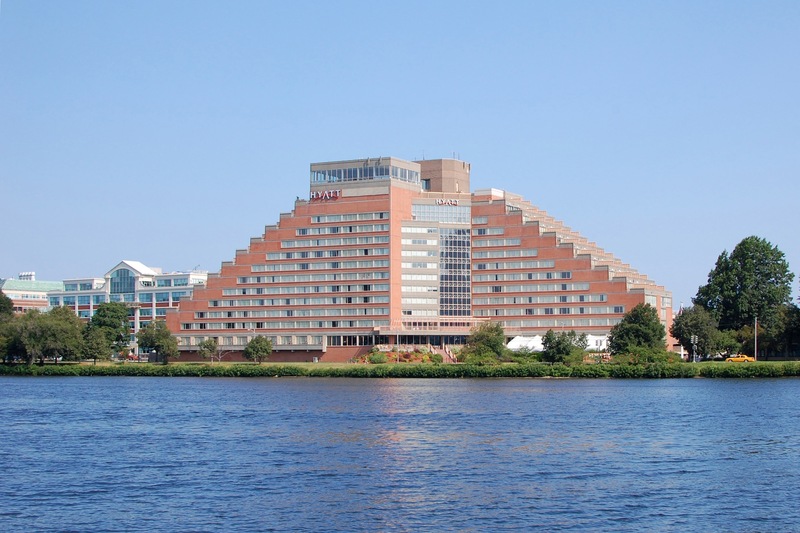 The Hyatt Regency – Cambridge Hotel is a 16-story atrium hotel, which offers panoramic views of the Boston skyline and Charles River, is less than 2 miles from downtown Boston, Harvard Square, Fenway Park, and major universities. Complimentary parking will be provided on-site at the hotel’s parking garage for conference attendees. The hotel is accessible by public transportation from the CL-2 Bus. The closest T stops for the CL-2 bus are from the Red Line at Kendal Square and the Green B-Line at Boston University West.